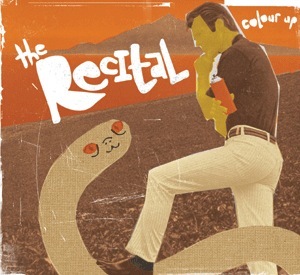 In early 2003, the Recital set out to record their first full-length album. Halfway through 2005, they finally finished, assembling recordings made at home, with Tim Pak at Woodshed Studios, and With John Krohn at Deep Deep Pink Studios. To gain further insight on the agonizingly slow development of the album, you can put the disc in your computer and retrieve bonus MP3's of the incessant demoing process. The wonderful sleeve art is once again provided by our friend Shawn Knight. Be sure to check out the narrative consistency. 2. "The Way to Worry"
5. "Song for the Slowest Clocks"
9. "Arrow to the North"
11. "Do You Fail Better?"